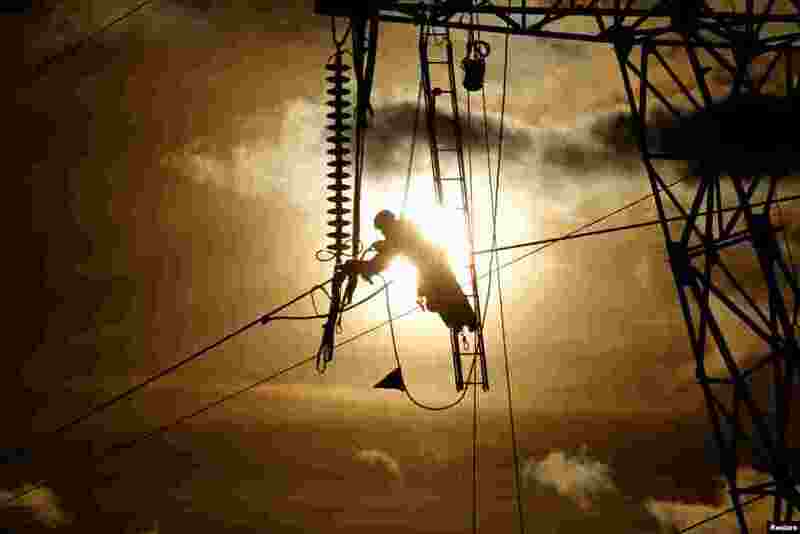 1 A technician works on an electricity tower as part of repair of high-tension electricity power lines, during sunset in Roye, France. 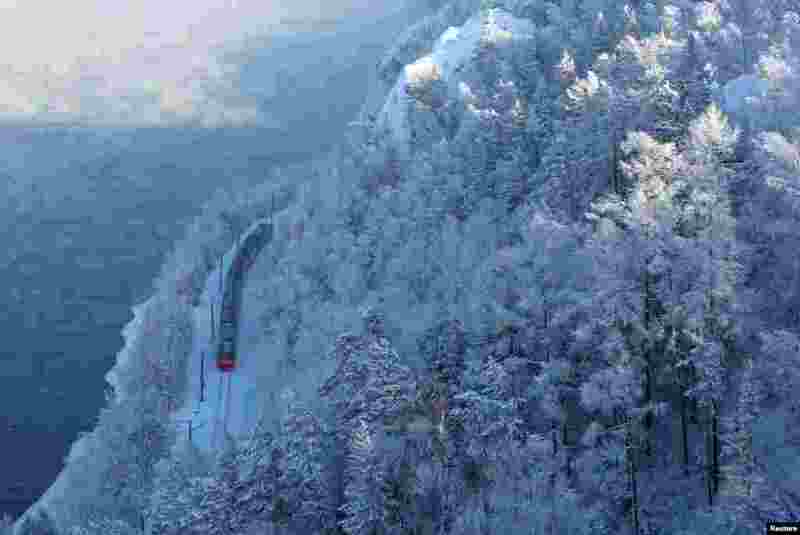 2 A passenger train moves along the bank of the Yenisei River in the Siberian Taiga forest covered with snow, outside Krasnoyarsk, Russia. 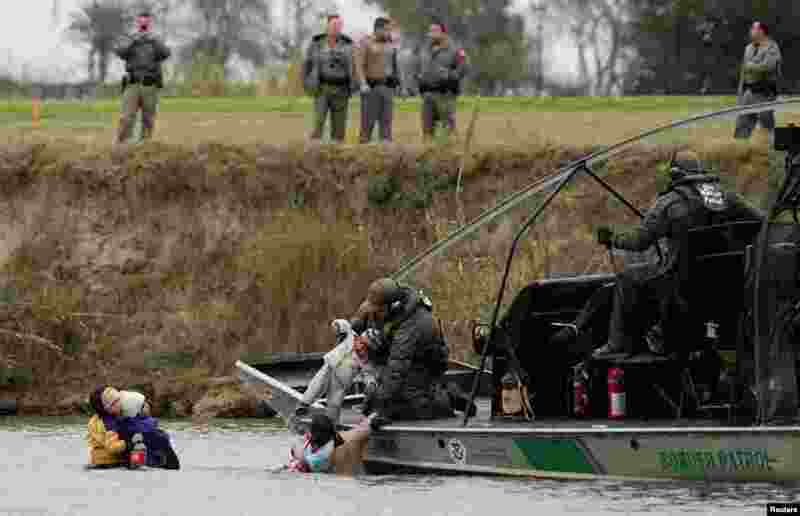 3 A U.S. border patrol boat rescues migrants crossing the Rio Bravo towards the United States, seen from Piedras Negras, Mexico, Feb. 10, 2019. 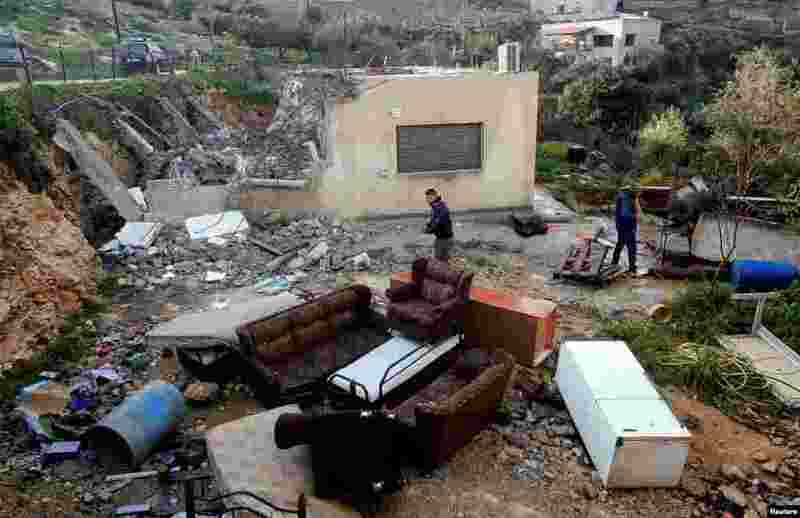 4 Palestinians check the damages after Israeli forces demolished a house in the village of Al-Walaja near Bethlehem, in the Israeli-occupied West Bank.